"We’re There When You Need Us!" 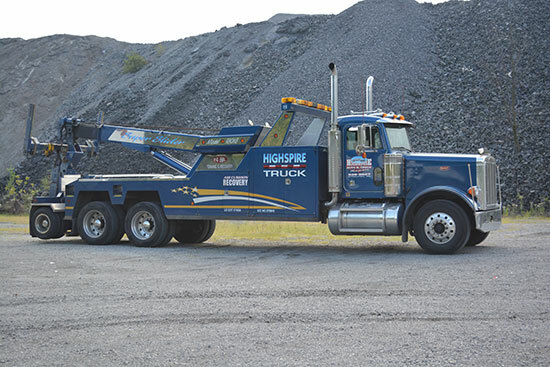 Highspire Auto & Truck Repair responds to all of your vehicle needs with certified technicans and wrecker operators. We offer evening and weekend hours, and are on call for all your needs 365 days a year and 24 hours a day. Highspire Auto & Truck Repair Corp. has always offered premier service to our customers and charged a fair and reasonable price. We have been in business since 1975. We are the first company in the area to have 3 Wreckmaster Level 6/7 Certified Wreckmasters on staff. This is the highest level of Wreckmaster Certification & Training. We have the LARGEST four axle sliding crane wrecker in the Harrisburg area. Our operators are Wreckmaster Certified to provide you with the most professional level of towing / recovery in the Central PA area. We offer all types of towing for trucks, tractor trailers, buses, cars, pickup trucks, vans, RV’s, motor homes & motorcycles. We have 2 locations to serve All Your Needs! We’re on call for all your needs 365 days a year and 24 hours a day!